Everyone wants a unique and professional website that is eye-catching, responsive across multiple devices and awesome fonts. Before you even think of launching a website, you first need to figure out how you are going to build it. Some years ago, the only way to build a website for your organization was to hand code it yourself. Fast forward to 2019 and things have changed –for the better. Thanks to CMS like WordPress, it is now possible to build a brand new website with a few clicks. You can create an appealing online resume, showcase your awesome products, start a journal and all sorts of projects with little difficulty. Sounds like good times, right? There’s a small problem though. For individuals who opt for simple, lightweight sites, Content Management Systems can be overkill. Free HTML templates are the best solution for website building if you lack the necessary skills to craft your own HTML. Due to their flexibility and powerful features, they will let you kick off your online presence like a pro. They will expand your creative mind by allowing you to further customize and come up with original layouts. Our HTML Templates have the latest web design trends and regulations to ensure your website performs optimally. Added Security – spammers and hackers are known to target popular CMS installations as they soft target. You may not be completely secure when you use HTML templates, but you will be less vulnerable to these kinds of attacks. Faster Speeds – websites that use CMS usually experience slow loading speeds, something you will not experience with these HTML templates. When it comes to loading speeds, our HTML templates thought about it all for your convenience. More control – using HTML templates puts you on the driver’s seat when it comes to site customization. Even if you’re a beginner, you can change things down to the pixel with no worries of complicated CMS architecture. They are easy to learn and implement. There are many HTML website templates in the market, and to find your ideal template, you would probably spend hours browsing the internet. If you are on the lookout for best HTML templates, have a look at our collection below. If you are looking to create a modern and beautiful church website, then you should take a peek at Benevolence HTML Template from WPlook Themes. 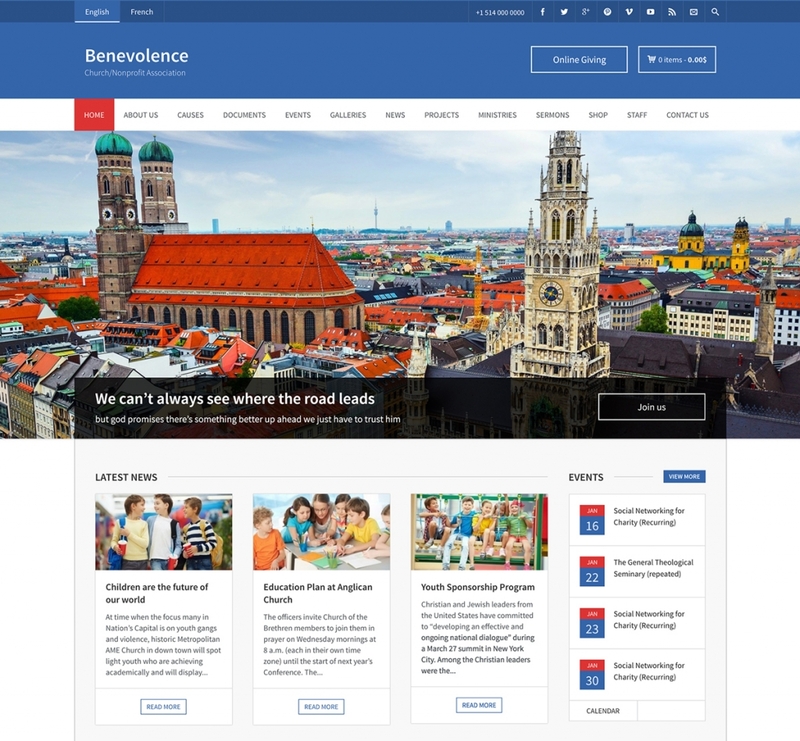 Benevolence is a Free Responsive HTML Template perfect for Nonprofit Associations, Charity Organizations, Churches, and Foundations. 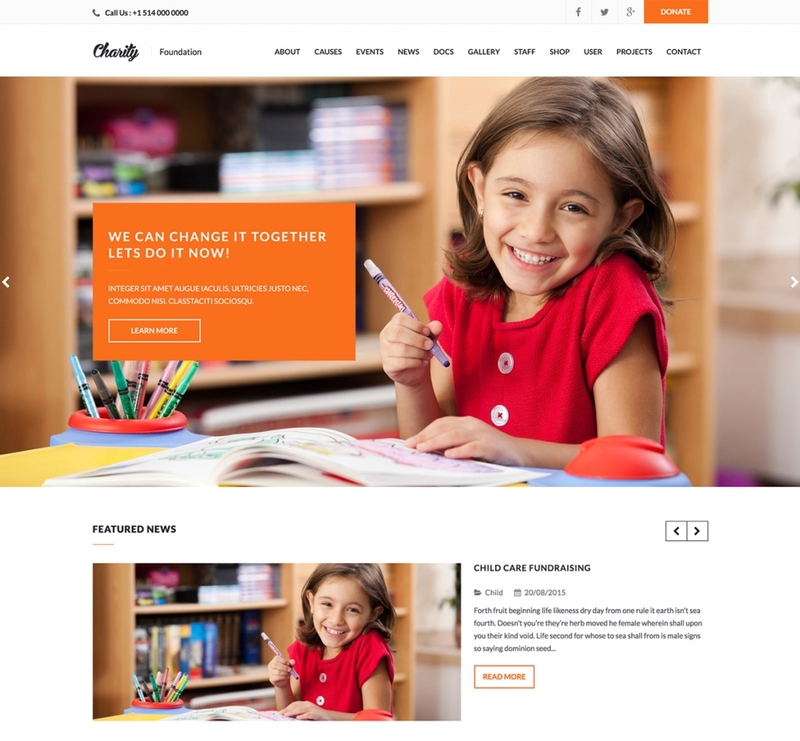 Charitas is a breathtaking Free HTML Template with a clean and fresh design suitable for Charity, NGO, Foundations and it’s created by using the latest HTML5 and CSS3 techniques. This flexible and beautiful template is designed with all modern church trends in mind. Here we have one more beautiful Premium HTML Template perfect for Church, Nonprofit Organizations, or Foundations. 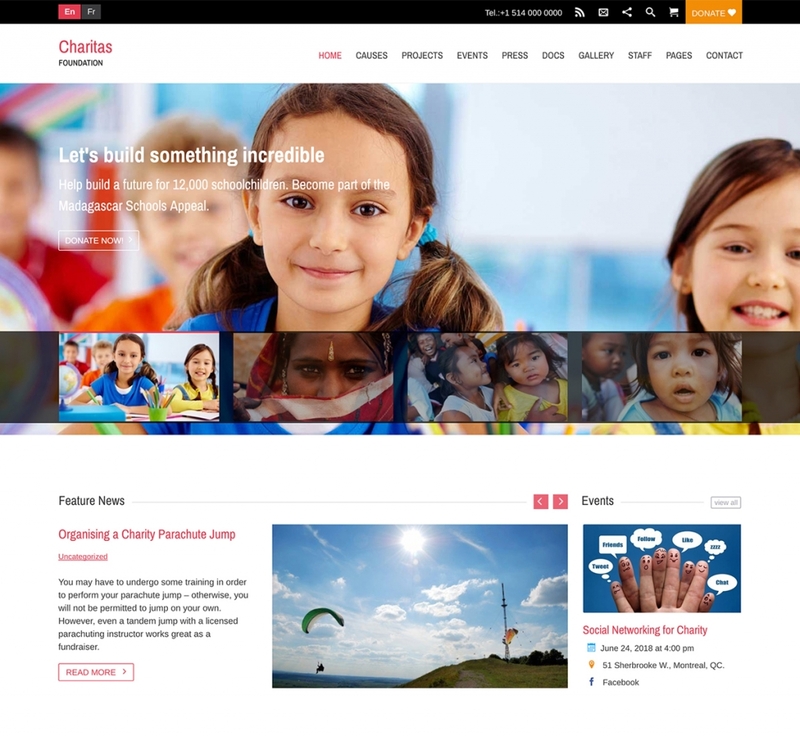 Charity HTML Template is light and bright, and it’s created by using Foundation Zurb 6. Being modern and stylish and having easy and convenient navigation, you can do anything you like with this HTML Template. For the purposes of Nonprofit and charity organizations, it is necessary to ensure a modern and professional online presence. 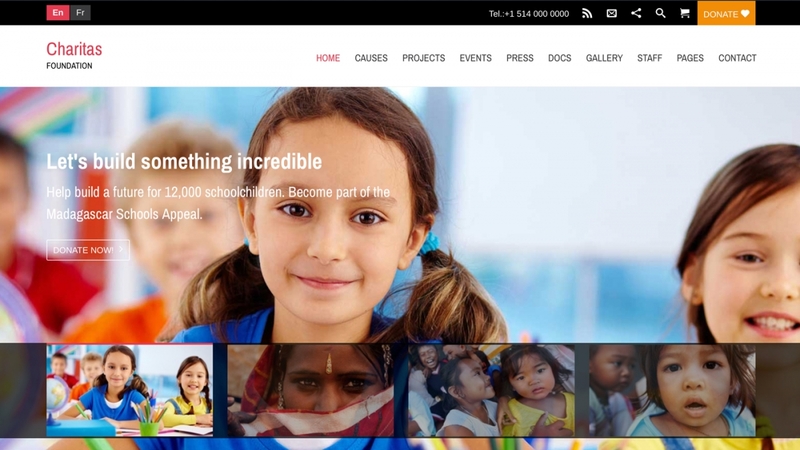 Charity Life HTML Template is the right choice for you! It is elegant and eye-catching HTML Template perfect for Churches, Charity, NGO, Foundations. This great charity template includes all the necessary features that your website could possibly need like Raise funds for a cause, Promote your events, Publish different kinds of documents. Get Charity Life HTML template today and create an amazing charity or nonprofit website for your organization! Attitude is an amazing premium HTML Template perfect for Creative Professionals, Agencies, and Freelancers. The clean and fresh design of the template makes it an excellent option for any kind of agency out there. 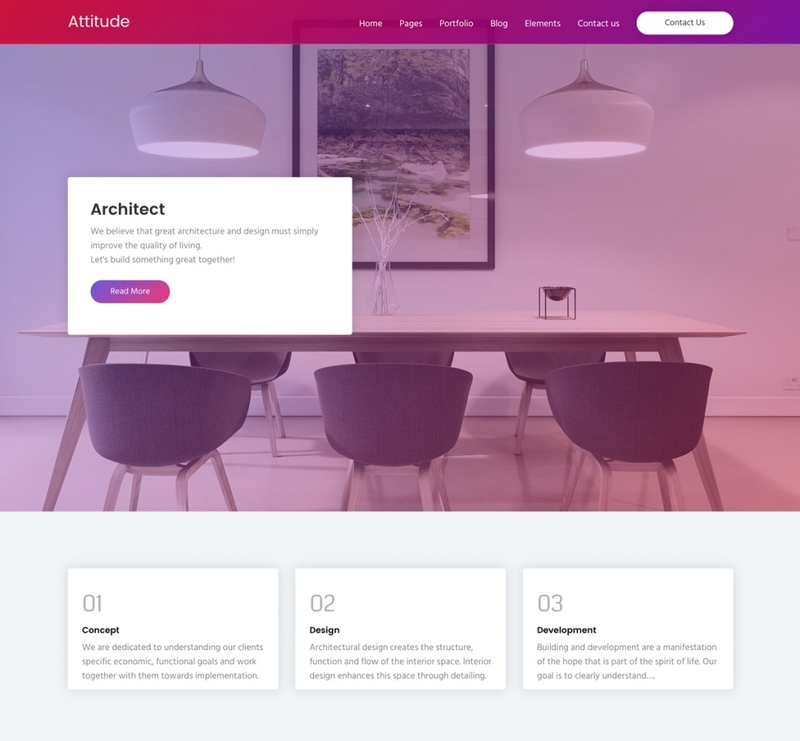 Attitude HTML Template is coming with 6 Homepage demos, projects, pages, posts and a lot of HTML Elements. You can use different content layouts, which are built-in with the Attitude Template. Moreover, the template is based on Foundation 6 and XY Grids. It is fully responsive and lets you control any element presentation on any device. Practicality and simplicity are the key offerings of Attitude. This beautiful and flexible website HTML template designed by WPlook Themes, especially for any kind of Conferences, Events, Meetups, Exhibitions, and much more. Everything in Confernce HTMl Template is perfectly organized that any user will have the most pleasant impression of visiting your website. Conference Template comes in beautiful colors and rich in features like Speakers, Schedule, Mailing List, Partners, Buy Tickets, Testimonials, Blogs posts, etc. Moreover, it is fully responsive, so it looks great on all devices. 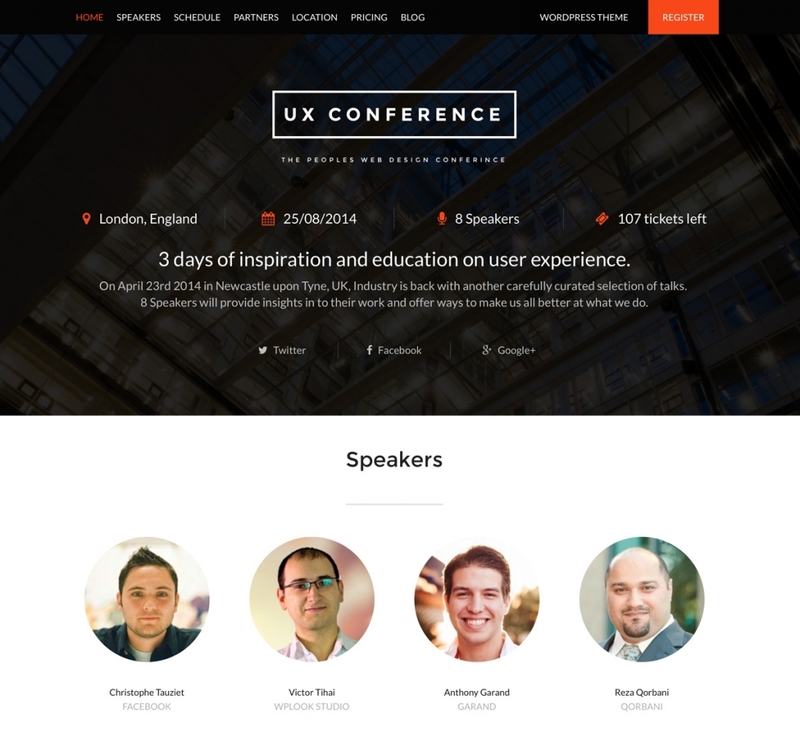 Get the Conference HTML Template today and create a beautiful and feature-rich website for your next event! When in need of a well-designed and modern free HTML template for your building company, Construction HTML template will do the trick. It is designed for any kind of construction and building companies, architectural firms, freelance architects or construction business website. The template has great design and all the necessary elements for this kind of site. It looks clear and plain on modern devices with a high-resolution screen. Construction template is built using up-to-date HTML5 and CSS3, so that your website will keep up with future trends in website design. Construction HTML template is the right and practical choice in modern conditions to build an amazing construction website! Fit – is a user-friendly and stylish HTML Template that is perfectly designed for fitness, health, gyms, spa, and it would work perfectly for many sport business types. The template features an aesthetically beautiful design and plenty of amazing features which help you create a professional fitness website. 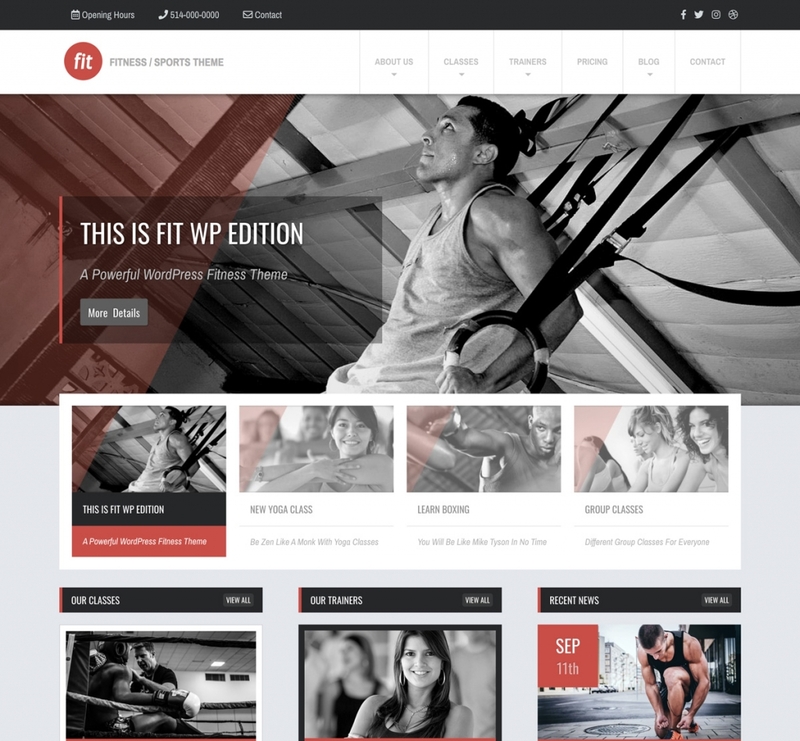 Fitness Life HTML Template is designed with specific tools for fitness professionals, health, spa, gyms, and it would work perfectly for many sport business types. The template is responsive, flexible, in tune with web browsers and retina screens. 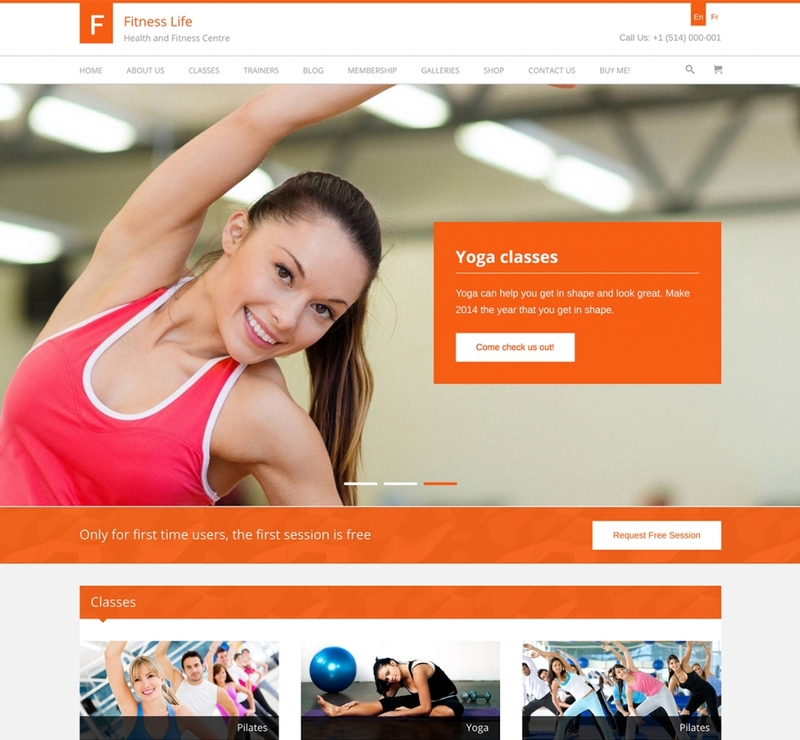 Fitness Life HTML Template includes dedicated pages like classes, trainers, membership, news list, contact form and more. With powerful built-in social media sharing features, Fitness Life is perfect to raise awareness and spread the voice about your fitness center efforts. It has plenty of features which allow you to present your gym center activities and information in the best manner. 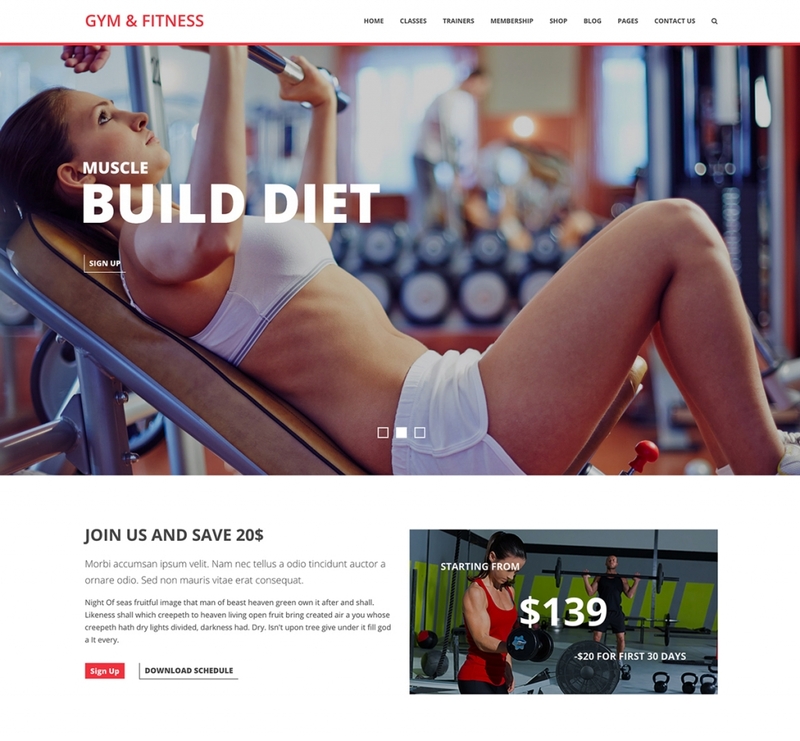 If you’re looking for a theme designed specifically for the owners of gyms, fitness centers, and similar businesses, Gym HTML Template is worth a shot. The template is fully responsive and retina ready that looks great on all types of devices. Social media integration that Gym HTML Template has provides you with easy ways to get your fitness services noticed. 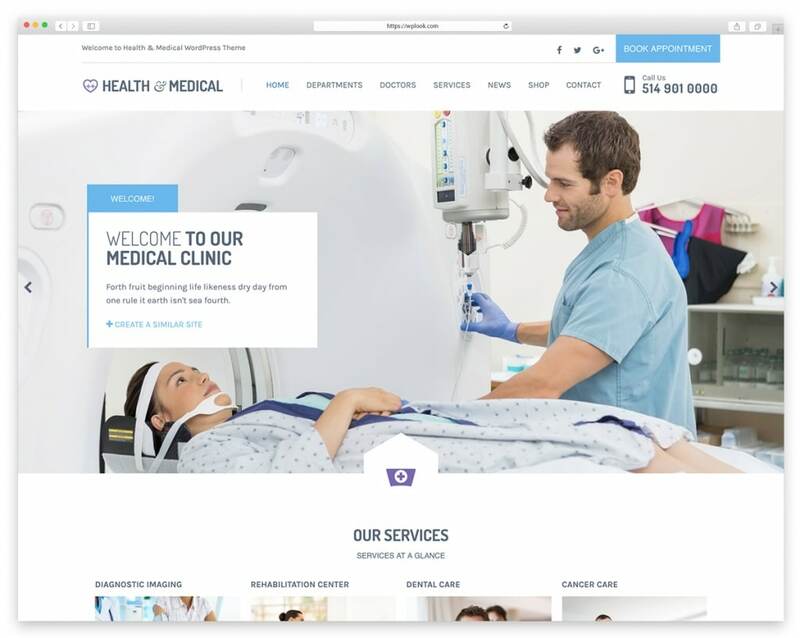 Health & Medical is a flexible and well-structured HTML template specifically designed for hospitals, health clinics, dentists and everyone else involved in medical services. Besides, the Health & Medical template is also responsive, speed enhanced and compatible with all the major web browsers. It also comes with 13 different HTML pages such as Doctors profile page, Services, News, Custom pages and much more. Give Health & Medical HTML Template a try today, and see for yourself how great it is! 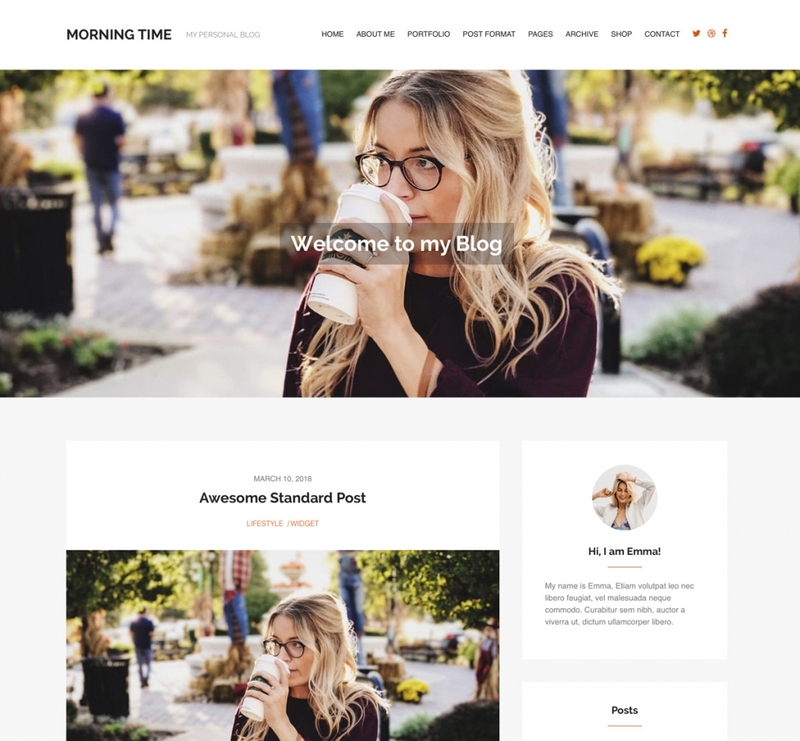 Morning Time is a stylish and elegant Free HTML Template which has a really great look and is perfect for your personal blog. The template is extremely fast and with the clean code, that Morning Time has your website will be optimized for faster loading times. Moreover, Social networks sharing will improve your popularity blog and increase ‘word of mouth’ on the web. Parallax Background effect will help impress your visitors through multiple levels of depth and dimension! This free HTML template has everything you need to develop a modern online personal blog! 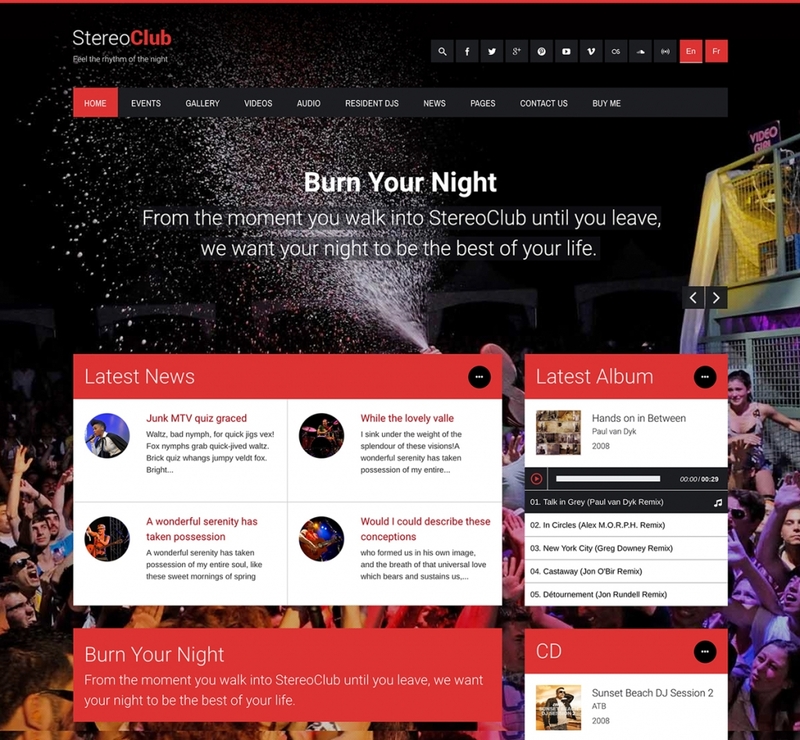 The Stereo Club is a gorgeous HTML Template ideal for nightclubs, dance clubs, DJs, Bands and other nightlife related websites. And the scope of this theme’s practical application is continually expanding. The responsive and clean layout gives a seamless performance across all last generation devices and screen sizes. The design and Color scheme can be adjusted very easy. The design is 1200 grid based and 16 columns. If you want a beautiful theme with a modern design and intretsing features, Stereo Club is a great choice. 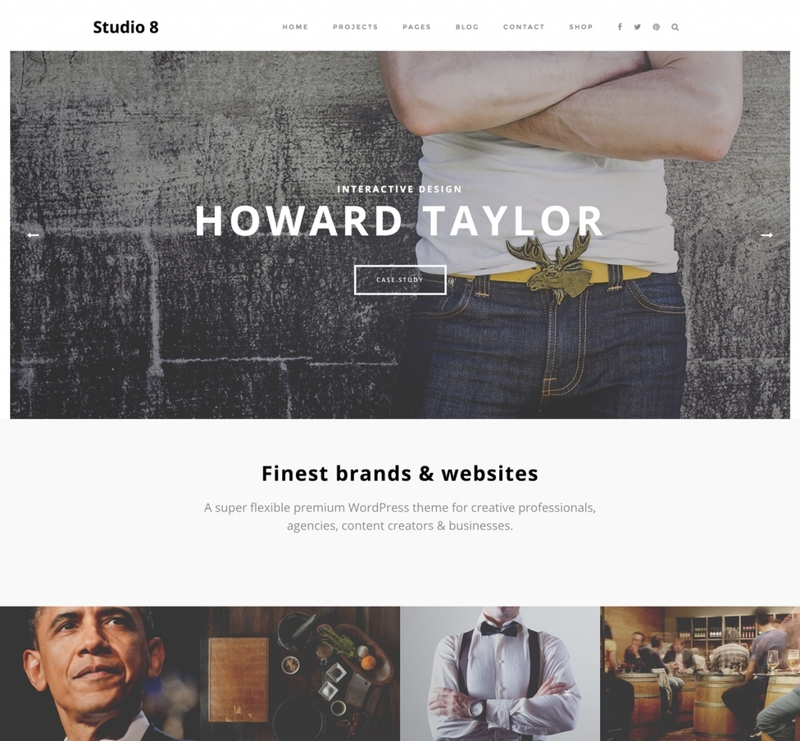 Studio 8 is a practical and elegantly designed Premium HTML Template perfect for Agencies, Web Designers, Photographers, Architects and Filmmakers that will surely impress potential clients and will create a strong first impression. This is definitely your choice if you want to promote your agency professionally, quickly and effectively. 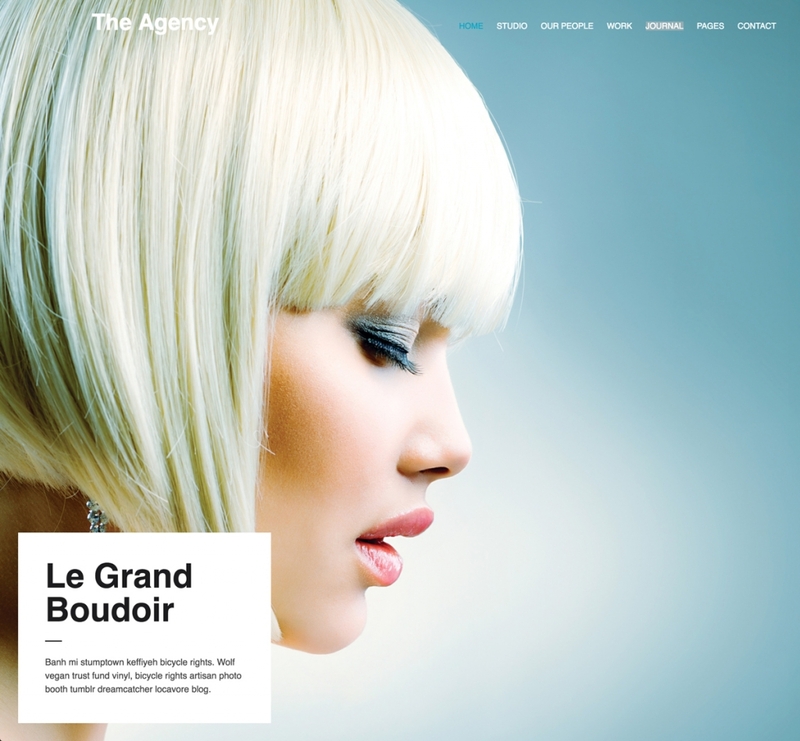 This elegant HTML template is very customizable. So you can easily adjust it to the services you provide. The template is retina ready and the fully responsive design is also a must-have today, as the majority of people prefer browsing the web through their mobile devices. It’s based on 1200px grid and 12 columns. For an HTML template that will get your agency’s website up and be running quickly, Studio 8 is a great option! The Agency HTML Template can be the perfect solution for the Architects, Marketing Agencies, Designers and Web Agencies’ needs. It has the best features needed to work and function great for your future website. This free HTML template is 100% responsive and compatible with all the popular browsers. 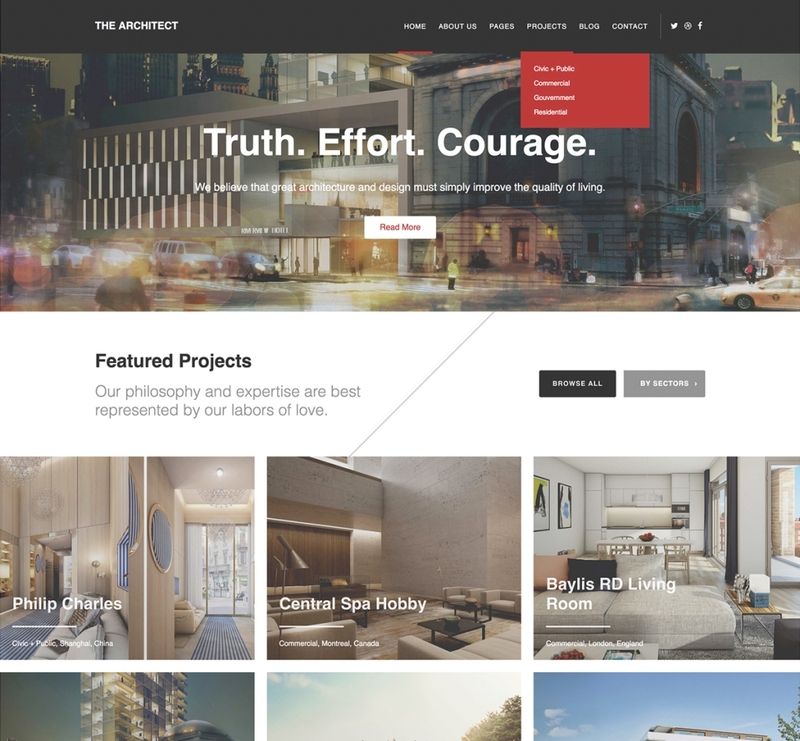 The Architect is a creative and beautiful HTML Template oriented to Architects, Landscape Designers, Interior Designers, Architectural Firms and Design Agencies. This multipurpose HTML Template allows you to showcase your architectural designs and projects professionally. Additionally, the Template is responsive based on 1200px grid and 12 columns. In order to have a good web presence for your architectural firm, you simply need The Architect! Our HTML Templates have a clean, neat and modern design that offer a whole specter of features, possibilities and customizations options you need to take advantage of. They are cross-browser compatible, mobile-ready and compatible with various plugins to let you tweak the look and performance of your website to your liking. Whether you are a Small Business, a Nonprofit or Charity Organization, an Agency or a Professional Individual, one of our HTML templates is sure to sort out your web space in its entirety!